Carol's Theatre Reviews ~ It's Fun To Go Out: “Buyer & Cellar” An Absolute Crowd Pleaser At Vista ‘s Broadway Theatre. “Buyer & Cellar” An Absolute Crowd Pleaser At Vista ‘s Broadway Theatre. Jonathan Tolins’ one-man show “Buyer & Cellar” has made its way to Vista after a three -year absence when it made its San Diego premiere at The Old Globe Theatre in Balboa Park It is nothing less than a crowd pleaser. Actually it’s more than a crowd pleaser; it’s engaging, funny, charming and fun as witnessed by the audience reaction and as performed by the versatile and quite adorable Scott Arnold. If you are a serious fan of Barbra Streisand, this will be your new favorite play, because… ta da, it’s about an out of work actor (His last job was as Mayor of Toontown at Disneyland until that went south) who lands a job as the lone salesperson/caretaker in Barbra Streisand’s cellar. It’s a cobblestone street mall lit with vintage scones. It’s a shopping mall in her basement. And, band roll… he gets to meet her, share a yogurt with her from her humming yogurt machine with real yogurt and ‘with lots of sprinkles, please’, and discuss…whatever she’s in the mood to talk about. 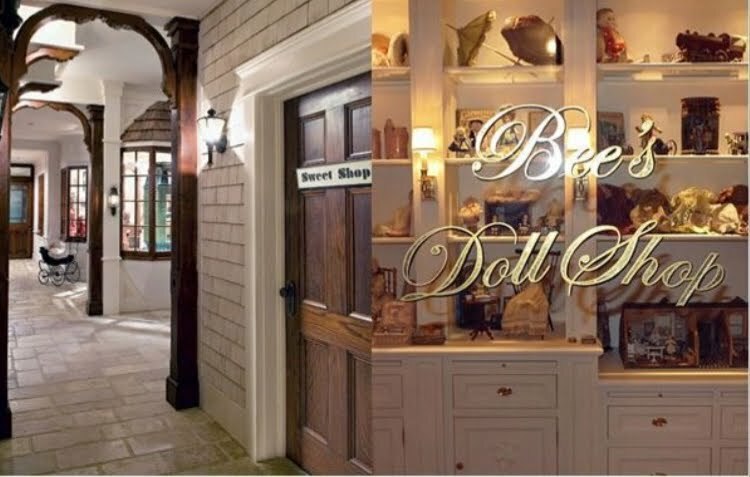 In case you hadn’t heard Streisand, yes the famous Babs has an underground faux mall in the cellar of her Malibu Estate where she keeps all of her ‘collectables’ displayed with ‘totalitarian precision’. There is a Doll shoppe, a Gift Shoppe, an Antiques store and even an Antiques Clothing Boutique where she keeps her other world dresses from some of her past hit musicals. Tolins’ take on this fanciful, ‘totally fictional’ joy ride with his alter ego Alex More as the gay out of work actor, in this one-man tour de force that is laugh out loud funny and spot on uncanny and seems as much fun for the lone actor, Scott, as it appears to be for the audience. Alex recalls his experiences working in the down under mall of Barbra Streisand’s Malibu, California getaway that was inspired after a visit by her to Winterthur the American decorative arts museum in Delaware. 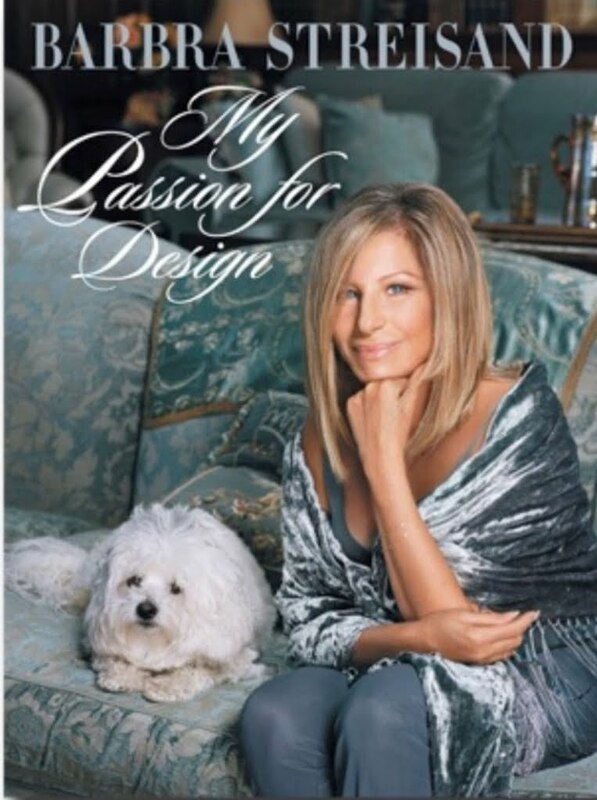 In her book, My Passion for Design, she chronicles her love for design showing off her rose gardens, her barn that houses hens that lay eggs (green ones), a cottage style guest house ‘where visitors can stay in the Lavender Bedroom, and in the basement is a village of shops that was inspired by ‘Hector Guimard and the Art Nouveau era’. The main house, the barn, the mill house and Grandma’s house all sit on three acres of property overlooking the beautiful California coastline. Yours truly remembers a PBS(?) special tour of the 'grounds' many moons ago given by the star herself. From the minute Arnold bounced on the stage on opening night as Alex More caretaker of Streisand’s ‘stuff’ to his shedding of his 1800’s Disneyland look-a-like salesman costume (complete with silk arm garters and a Donna Karin designed leather apron), the audience was transfixed while he spun his nonstop, 120 minute tale of his being in the employ of Barbra Streisand. First and foremost Alex reminds us what is real and what is a work of fiction. Then he proceeds to tell us that he doesn’t “do” her and that when he started the job, he was not a big Barbra queen. For obvious reasons, all that changed, and drastically. Just as a side note, he really does ‘do her’ with a look, a gesture (sucking in his lips) and some body language (raising a shoulder to indicate it’s ‘her’) that is clearly the mega-star herself. He also ‘does’ Sharon, Barbra’s Girl Friday, heavy on the Brooklyn accent with a gravely voice heavy on the cigarettes. Every now and then he changes course to talk about his new relationship and complications with Barry, the now love of his life that almost comes apart at the seams because of Alex’s job. Barry is clearly not as enamored with Barbra as is Alex and thinks she is using him, and contrary to what he tells him, is not her ‘friend’; a continuing bone of contention in their relationship. Over the course of his overseeing Barbra’s precious possessions, dusting and caring for them on a daily basis to actually sitting in her ‘family room’ engaging in small talk, (she likes the color of his hair and would like throw pillows for her family room the same color) he does become enthralled and most likely a new Barbara queen, as they say. Arnold continues the legacy of Alex More with his amazing storytelling ease, split second timing and turn on a dime change of characters. Counting himself, there are four other characters he channels. He’s one hell of a smoothie and with very little effort manages to snake us through all the Barbra mishigas including a wonderful encounter with ‘Sadie’ (as she asked to be called when she first ventured down the stairs on his watch’) when she wanted him to take her on a tour of the ‘Mall’. Scene from "Buyer & Cellar"
In reality, Tolins (“Twilight of the Gold’s”) met the super star once; it is retold in this play, when she offered him a section of her Kit Kat that he nervously turned down. I think I would take it and frame it, unless I got an uncontrollable craving for some crunchy chocolate. What a vehicle for Arnold who was seen in the Lawrence Welk production of “Hello Dolly”. He was Mr. Heckl. This summer he can be seen back at Moonlight (again in Vista) in “The Hunchback of Notre Dame” and also in "Newsies" as Davey Jacobs. 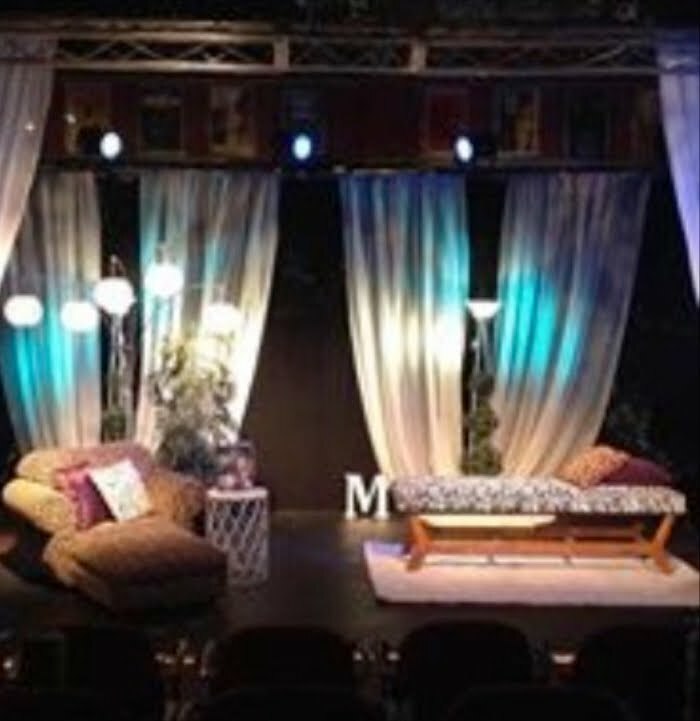 Co-producer Randall Hickman directs as well co designs with Douglas Davis (lighting, sound, props) the simple set with two lounges, a few plants, lots of lights, curtains for atmosphere and a small table with Streisand’s book noticeably propped for all to see. For an appealing, pleasant fun filled evening of entertainment filled with charm and grace Vista’s “Buyer Cellar” earns a two thumbs up!